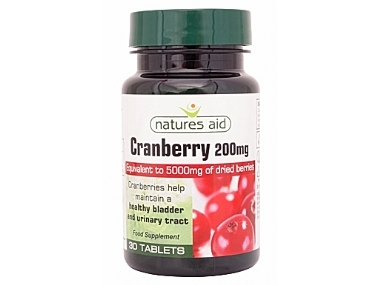 Natures Aid Cranberry tablets each contain 200mg of cranberry extract equivalent to 5000mg of cranberry juice per tablet, and unlike may cranberry juices available, Natures Aid cranberry tablets do not contain any sugar. Take 1 - 2 tablets per day with food. 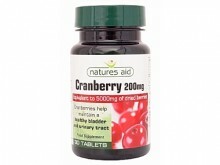 Click the button below to add the Natures Aid Cranberry 200mg 90 Tabs to your wish list.